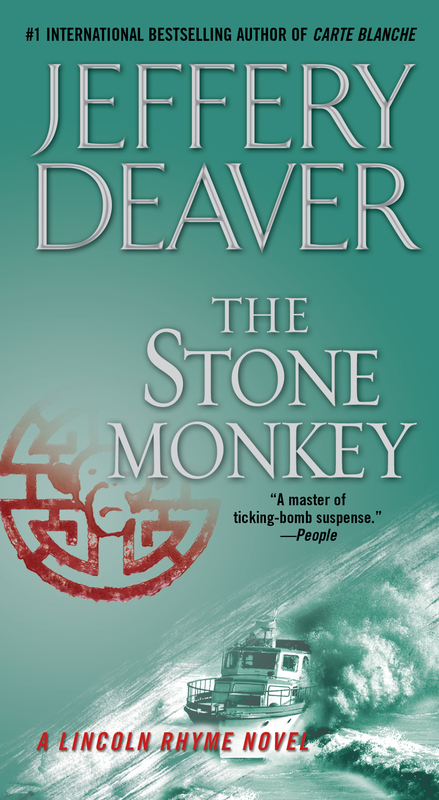 From the New York Times bestselling author of The Cutting Edge—the follow-up to Jeffery Deaver’s massive bestseller The Bone Collector (made into a feature film starring Angelina Jolie and Denzel Washington) The Stone Monkey is a “simply outstanding” (San Jose Mercury News) addition to the Lincoln Rhyme series! First introduced in the spine-chilling novel The Bone Collector, Lincoln Rhyme dazzled readers with unparalleled forensic sleuthing—all done from the confines of a wheelchair. A famed criminologist, paralyzed from the neck down, Rhyme compensates for his physical disability with his brains—and the arms and legs of his brilliant and beautiful protégée, Amelia Sachs. 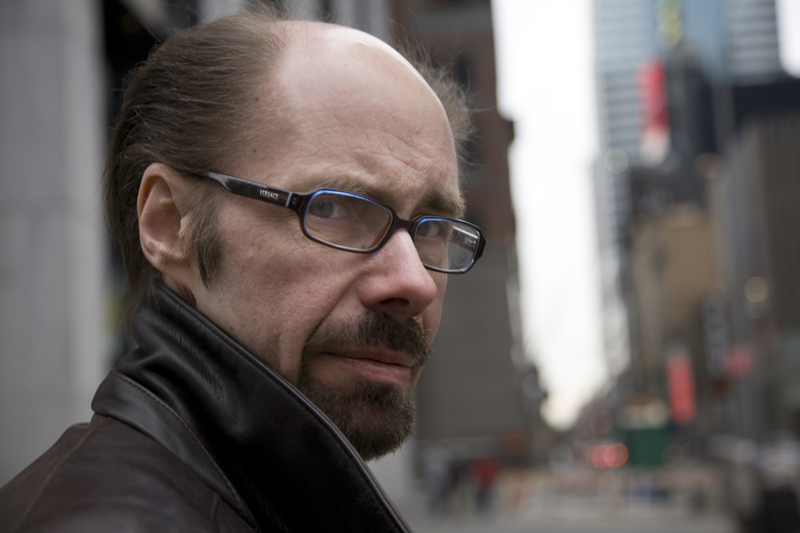 It is Amelia who “walks the grid” for Rhyme, acting as his eyes and ears for the famously dangerous and difficult cases chronicled in Jeffery Deaver’s bestselling novels The Bone Collector, The Coffin Dancer, and The Empty Chair. Now the awe-inspiring duo returns in The Stone Monkey. Recruited to help the FBI and the Immigration and Naturalization Service perform the nearly impossible, Lincoln and Amelia manage to track down a cargo ship headed for New York City and carrying two dozen illegal Chinese immigrants, as well as the notorious human smuggler and killer known as “the Ghost.” But when the Ghost’s capture goes disastrously wrong, Lincoln and Amelia find themselves in a race against time: to stop the Ghost before he can track down and murder the two surviving families who have escaped from the ship and vanished deep into the labyrinthine world of New York City’s Chinatown. To the human smugglers -- the snakeheads -- who carted them around the world like pallets of damaged goods, they were ju-jia, piglets. They were his fragile cargo. And now, legs steady against the raging, five-meter-high seas, Captain Sen Zi-jun made his way from the bridge down two decks into the murky hold to deliver the grim message that their weeks of difficult journeying might have been in vain. It was just before dawn on a Tuesday in August. The stocky captain, whose head was shaved and who sported an elaborate bushy mustache, slipped past the empty containers lashed to the deck of the seventy-two-meter Fuzhou Dragon as camouflage and opened the heavy steel door to the hold. He looked down at the two-dozen people huddled there, in the grim, windowless space. Trash and children's plastic blocks floated in the shallow tide under the cheap cots. Despite the pitching waves, Captain Sen -- a thirty-year veteran of the seas -- walked down the steep metal steps without using the handrails and strode into the middle of the hold. He checked the carbon dioxide meter and found the levels acceptable though the air was vile with the smell of diesel fuel and humans who'd lived for two weeks in close proximity. Unlike many of the captains and crew who operated "buckets" -- human smuggling ships -- and who at best ignored or sometimes even beat or raped the passengers, Sen didn't mistreat them. Indeed he believed that he was doing a good thing: transporting these families from difficulty to, if not certain wealth, at least the hope of a happy life in America, Meiguo in Chinese, which means the "Beautiful Country." On this particular voyage, however, most of the immigrants distrusted him. And why not? They assumed he was in league with the snakehead who'd chartered the Dragon: Kwan Ang, known universally by his nickname, Gui, the Ghost. Tainted by the snakehead's reputation for violence, Captain Sen's efforts to engage the immigrants in conversation had been rebuffed and had yielded only one friend. Chang Jingerzi -- who preferred his Western name of Sam Chang -- was a forty-five-year-old former college professor from a suburb of the huge port city of Fuzhou in southeastern China. He was bringing his entire family to America: his wife, two sons and Chang's widower father. A half-dozen times on the trip Chang and Sen had sat in the hold, sipped the potent mao-tai that the captain always had in good supply on his ship and talked about life in China and in the United States. Captain Sen now saw Chang sitting on a cot in a forward corner of the hold. The tall, placid man frowned, a reaction to the look in the captain's eyes. Chang handed his teenage son the book he'd been reading to his family and rose to meet the captain. Everyone around them fell silent. "Our radar shows a fast-moving ship on course to intercept us." Dismay blossomed in the faces of those who'd overheard. "The Americans?" Chang asked. "Their Coast Guard?" "I think it must be," the captain answered. "We're in U.S. waters." Sen looked at the frightened faces of the immigrants around him. Like most shiploads of illegals that Sen had transported, these people -- many of them strangers before they'd met -- had formed a close bond of friendship. And they now gripped hands or whispered among themselves, some seeking, some offering reassurance. The captain's eyes settled on a woman holding an eighteen-month-old girl in her arms. Her mother -- whose face was scarred from a beating at a reeducation camp -- lowered her head and began to cry. "What can we do?" Chang asked, troubled. Captain Sen knew he was a vocal dissident in China and had been desperate to flee the country. If he was deported by U.S. Immigration he'd probably end up in one of the infamous jails in western China as a political prisoner. "We're not far from the drop-off spot. We're running at full speed. It may be possible to get close enough to put you ashore in rafts." "No, no," Chang said. "In these waves? We'd all die." "There's a natural harbor I'm steering for. It should be calm enough for you to board the rafts. At the beach there'll be trucks to take you to New York." "And what about you?" Chang asked. "I'll head back into the storm. By the time it's safe for them to board you'll be on highways of gold, heading toward the city of diamonds....Now tell everyone to get their belongings together. But only the most important things. Your money, your pictures. Leave everything else. It will be a race to the shore. Stay below until the Ghost or I tell you to come up top." Captain Sen hurried up the steep ladder, on his way to the bridge. As he climbed he said a brief prayer for their survival to Tian Hou, the goddess of sailors, then dodged a wall of gray water that vaulted the side of the ship. On the bridge he found the Ghost standing over the radar unit, staring into the rubber glare shade. The man stood completely still, bracing himself against the rolling of the sea. Some snakeheads dressed as if they were wealthy Cantonese gangsters from a John Woo film but the Ghost always wore the standard outfit of most Chinese men -- simple slacks and short-sleeved shirts. He was muscular but diminutive, clean-shaven, hair longer than a typical businessman's but never styled with cream or spray. "They will intercept us in fifteen minutes," the snakehead said. Even now, facing interdiction and arrest, he seemed as lethargic as a ticket seller in a rural long-distance bus station. "Fifteen?" the captain replied. "Impossible. How many knots are they making?" Sen walked to the chart table, the centerpiece of all ocean-crossing vessels. On it sat a U.S. Defense Mapping Agency nautical chart of the area. He had to judge the two ships' relative positions from this and from the radar; because of the risk of being traced, the Dragon's global positioning system and her EPIRB emergency beacon and Global Maritime Distress and Safety System were disconnected. "I think it will be at least forty minutes," the captain said. "No, I timed the distance they've traveled since we spotted them." Captain Sen glanced at the crewman piloting the Fuzhou Dragon, sweating as he gripped the wheel in his struggle to keep the Turk's head knot of twine, tied around a spoke, straight up, indicating that the rudder was aligned with the hull. The throttles were full forward. If the Ghost was right in his assessment of when the cutter would intercept them they would not be able to make the protected harbor in time. At best they could get within a half mile of the nearby rocky shore -- close enough to launch the rafts but subjecting them to merciless pounding by the tempestuous seas. The Ghost asked the captain, "What sort of weapons will they have?" "I've never been interdicted," the Ghost replied. "Tell me." Ships under Sen's command had been stopped and boarded twice before -- fortunately on legitimate voyages, not when he was running immigrants for snakeheads. But the experience had been harrowing. A dozen armed Coast Guard sailors had streamed onto the vessel while another one, on the deck of the cutter, had trained a two-barreled machine gun on him and his crew. There'd been a small cannon too. He now told the Ghost what they might expect. The Ghost nodded. "We need to consider our options." "What options?" Captain Sen now asked. "You're not thinking of fighting them, are you? No. I won't allow it." But the snakehead didn't answer. He remained braced at the radar stand, staring at the screen. The man seemed placid but, Sen supposed, he must've been enraged. No snakehead he'd ever worked with had taken so many precautions to avoid capture and detection as the Ghost on this voyage. The two-dozen immigrants had met in an abandoned warehouse outside of Fuzhou and waited there for two days, under the watch of a partner of the Ghost's -- a "little snakehead." The man had then loaded the Chinese onto a chartered Tupolev 154, which had flown to a deserted military airfield near St. Petersburg in Russia. There they'd climbed into a shipping container, been driven 120 kilometers to the town of Vyborg and boarded the Fuzhou Dragon, which Sen had sailed into the Russian port just the day before. He himself had meticulously filled out the customs documents and manifests -- everything according to the book, so as not to arouse suspicion. The Ghost had joined them at the last minute and the ship had sailed on schedule. Through the Baltic Sea, the North Sea, the English Channel, then the Dragon had crossed the famous starting point of transatlantic voyages in the Celtic Sea -- 490N 70W -- and had begun steaming southwest toward Long Island, New York. There was not a single thing about the voyage that would arouse the suspicion of the U.S. authorities. "How did the Coast Guard do it?" the captain asked. "What?" the Ghost responded absently. "Find us. No one could have. It's impossible." The Ghost straightened up and pushed outside into the raging wind, calling back, "Who knows? Maybe it was magic."